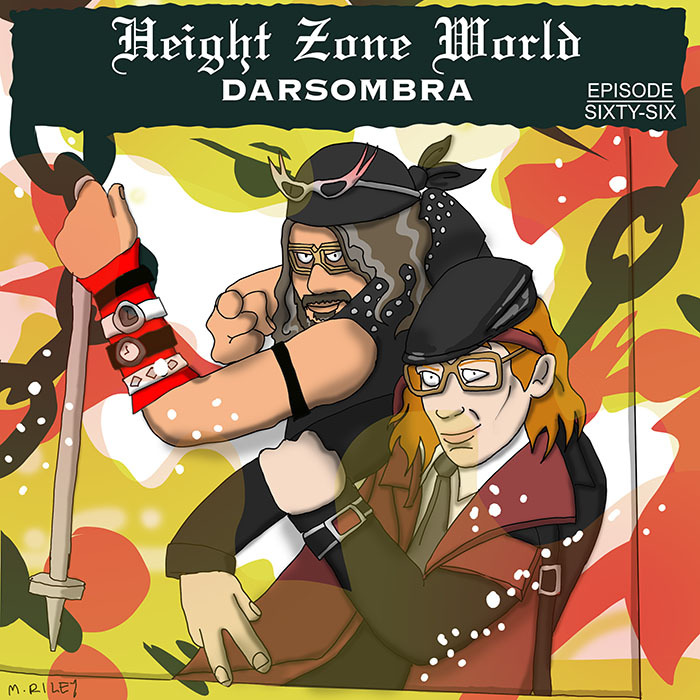 Height Zone World 66. My guests this week are Ann Everton and Brian Daniloski of Darsombra. They’re an audio/visual rock duo from Baltimore. Ann and I are old pals, and I was delighted to get a chance to catch up with them. Brian tells me about his early days with Baltimore’s Meatjack, and explains how that led to him starting Darsombra as a one man band. Ann talks about being a graffiti writer, and going from graffiti to video work. They explain how they began collaborating and doing Darsombra as a duo. I ask them about their recently completed 111-city tour, and their unique approach to touring. Mike Riley’s art this week is an homage to Rammellzee and Shockdell’s Death Command. This episode is hosted by splicetoday.com. Posted on November 9, 2015 by height keech	Bookmark the permalink.